This week is the one-year anniversary of LoveSorghum.com – Woohoo! I can’t believe I have posted 52 recipes containing sorghum! 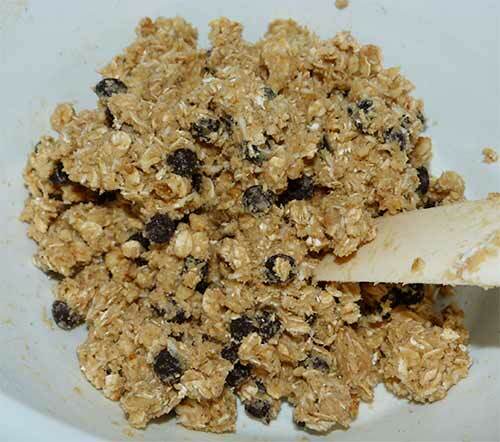 I’m celebrating with this awesome oatmeal cookie recipe from Around My Family Table. This amazing oatmeal cookie has coconut AND chocolate chips. Then I added Texas pecans, to make it even better! 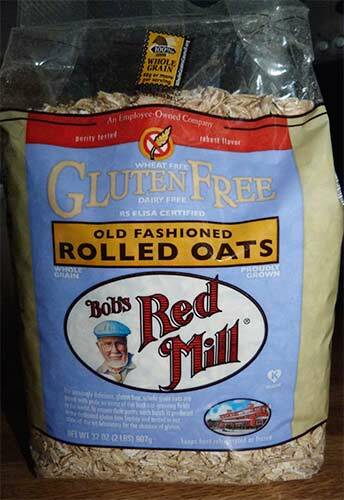 Be sure to use certified gluten-free oats if you have celiac disease. 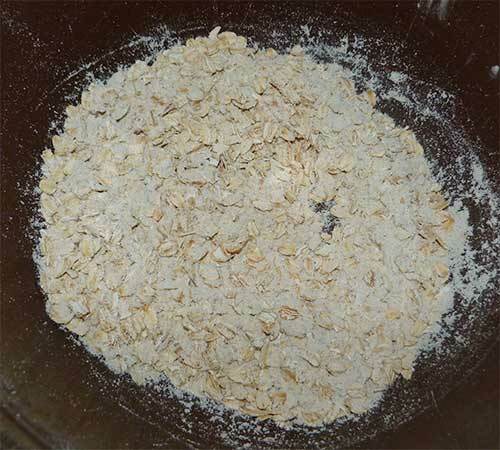 Combine oats, oat flour, cornstarch, baking powder, and salt in a large bowl. In a separate bowl, mix butter and sugars until light and fluffy. I used a hand-held mixer. 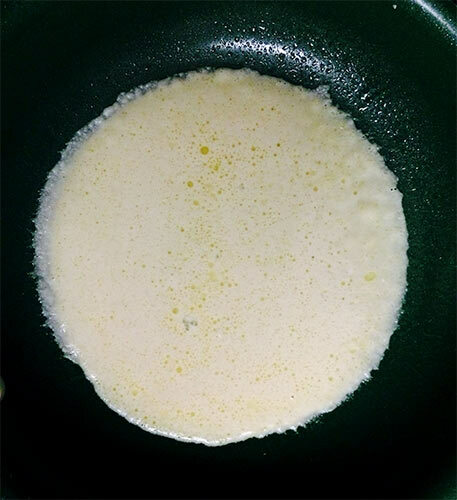 Add egg and vanilla and mix thoroughly. Butter, sugars, vanilla and eggs combined. 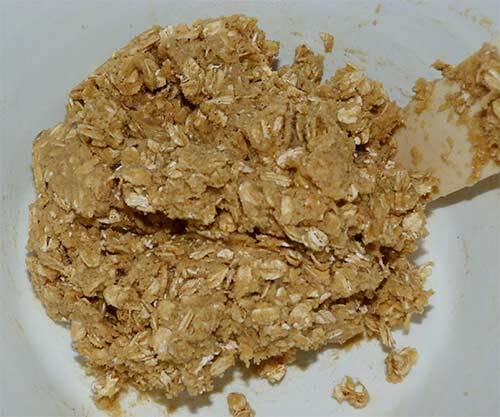 Mix the oat mixture into the wet mixture with a spatula or wooden spoon. 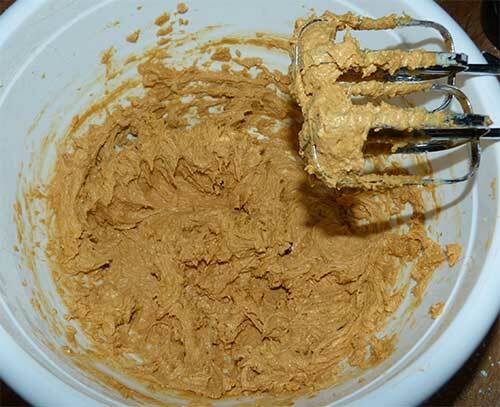 Dry and wet ingredients mixed into cookie dough. 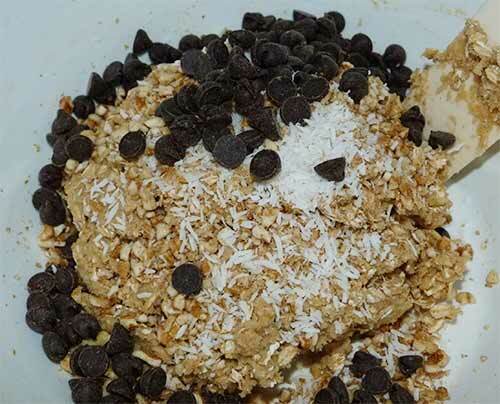 What could be better than chocolate chips, coconut and chopped pecans added to oatmeal cookie dough? Fold in the chocolate chips, coconut and pecans. Oatmeal cookie dough with all the goodies folded in. 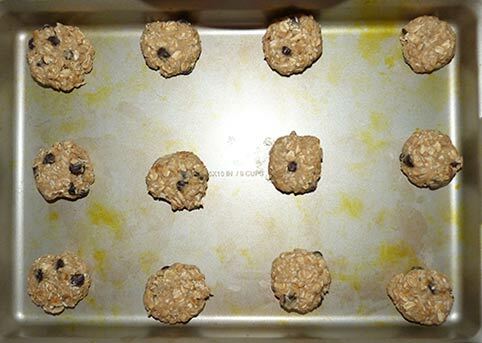 Form cookie dough into 1 1/2-inch balls and place on an ungreased cookie sheet. Dough rolled into 1 1/2-inch balls and ready to bake. 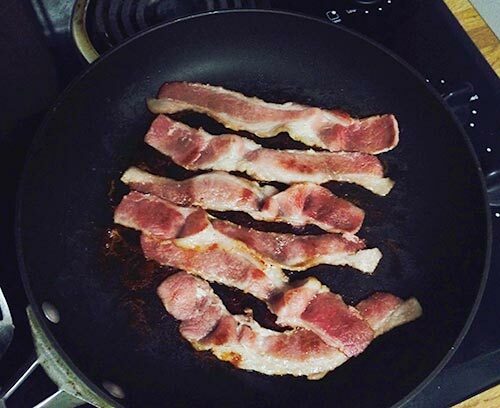 Bake at 350° F for 15 minutes or until edges start to brown. Let the cookies cool for a minute or two or they will break apart when you scoop them up from the cookie sheet. 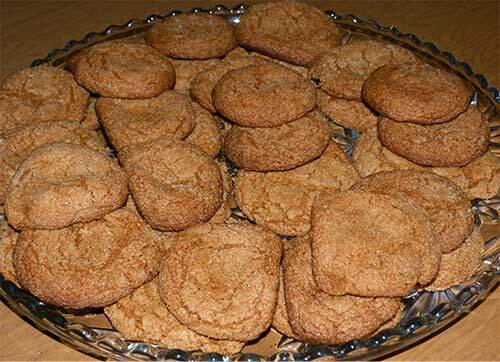 Cool cookies in pan for a minute or two and then use a spatula to place them on a cooling rack or plate. Recipe yields about two dozen cookies. 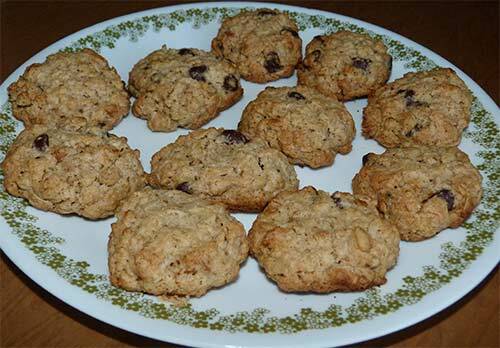 Adapted from Coconut Chocolate Chip Oatmeal Cookies – © Around My Family Table. Maizy is SO happy we are ONE YEAR OLD! Can I have a COOKIE, too? 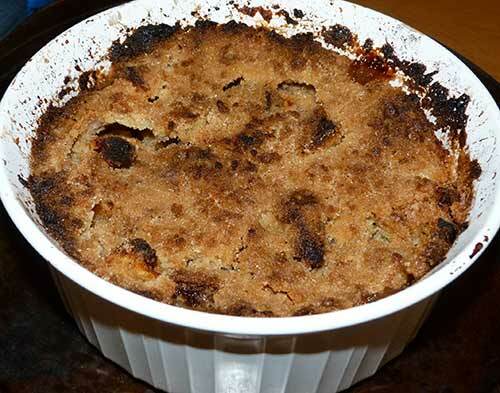 When you don’t have time to role out a traditional pie crust, apple crisp is a quick and easy alternative. 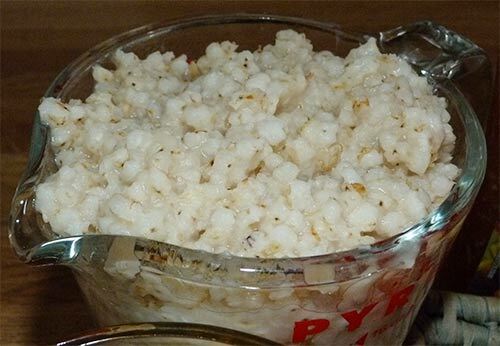 This recipe is from the Whole Grains Council. 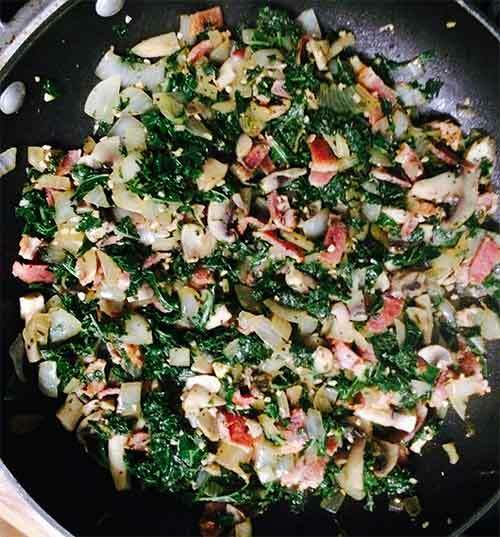 I added walnuts just because I think everything is better with nuts – and they’re really good for you! Apples are a really healthy choice for dessert. They are a relatively good source of potassium, a mineral not affected by cooking, with about 200 milligrams per cup. One baked apple is a good source of fiber with 5 grams total, which is 19 percent of the daily target. 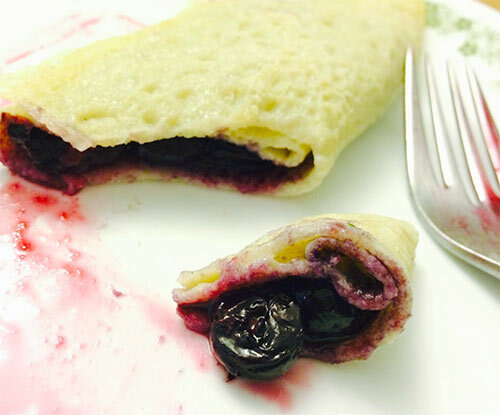 I think this recipe would be really good using other fruits, as well, like blueberries or peaches. 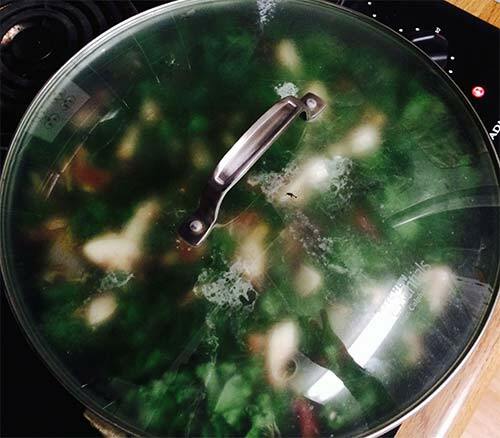 Preheat oven to 350° F. Slice apples into an 8 x 8 inch greased pan or similar-sized casserole dish. Sprinkle with cinnamon. 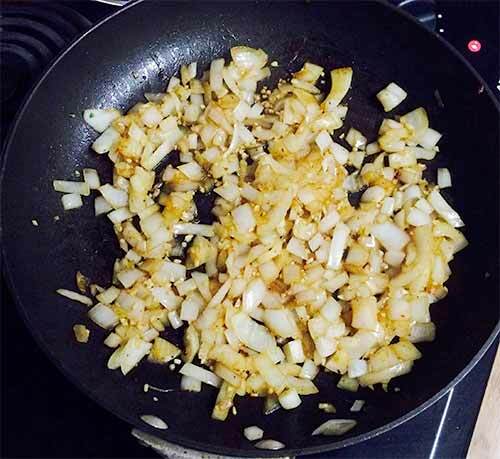 Add walnuts, if you are using them. I also sprinkled the apples with a few drops of lemon juice to keep them from turning brown while I prepared the topping. 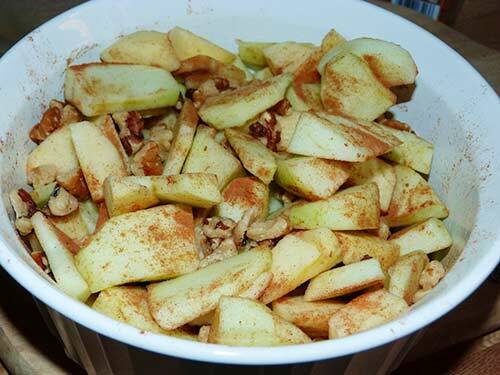 I added cinnamon and walnuts to the sliced apples, plus a few drops of lemon juice. 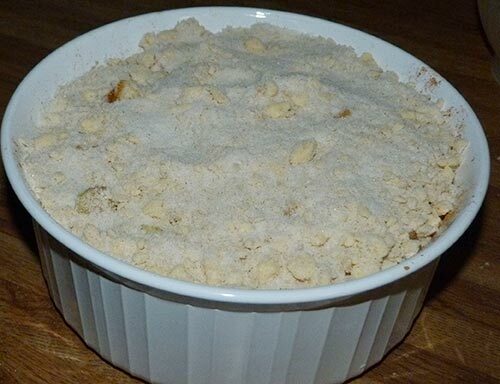 Combine crumble ingredients and sprinkle evenly over apples. 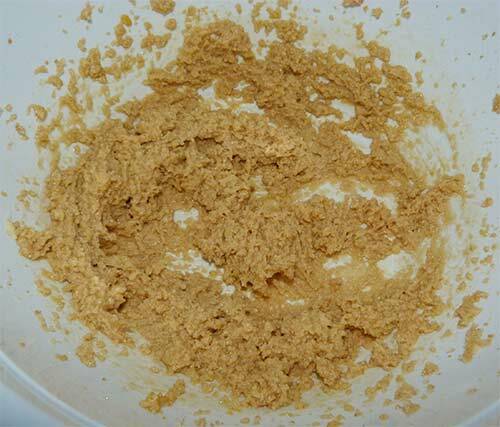 I mixed the butter, flour and sugar together with a pastry blender until the mixture was crumbly. Topping added to the sliced apples. 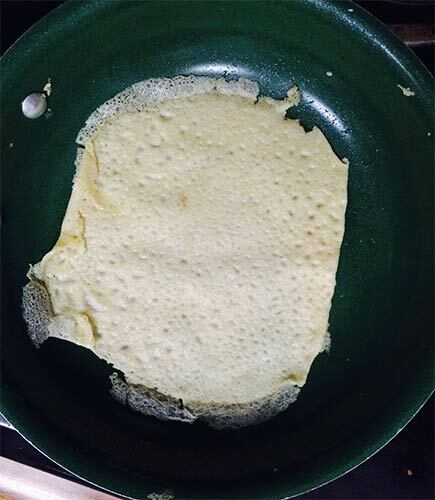 Bake at 350°F for approximately 1 hour or until topping turns light brown. It came out of the oven crispy and brown on top, bubbly underneath. Add a dollop of ice cream or whipped cream, if desired. Nutrition facts per serving: Calories: 250 , Total Fat: 12 g, (Saturated Fat: 7 g), Sodium: 10 mg, Carbohydrate: 37 g, Fiber: 3 g, Protein: 2 g.
Go! Walk! Snack! 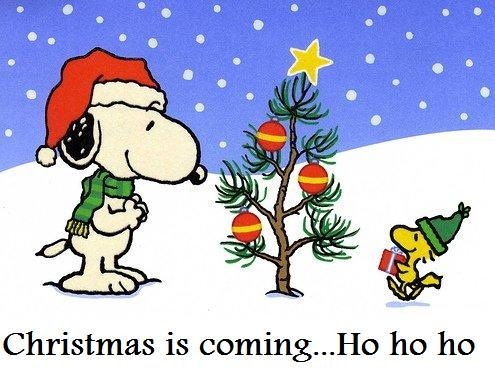 Certain words just make my tail wag. Since my fresh ginger cake fail a few weeks ago I’ve wanted to try another ginger recipe. 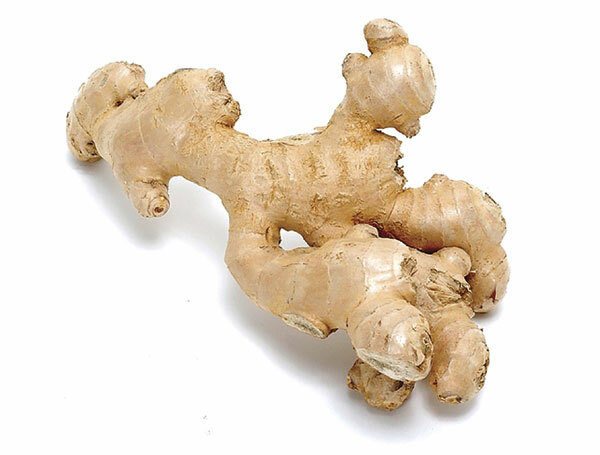 Ginger is supposed to have a number of health benefits, including reducing inflammation. It seems like a good snacking choice for anyone with autoimmune disease. These warm cookies are crispy on the outside and soft on the inside. 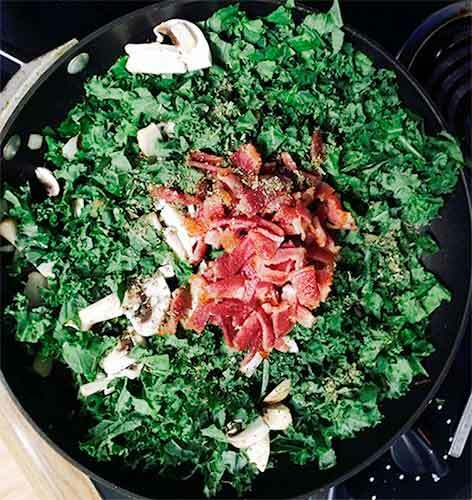 This recipe is from Nu Life Market. Their gluten-free All-Purpose Flour mix is about the same as Carol Fenster’s sorghum blend, but has xanthan gum added. It is a good idea to lightly spray your measuring cup with a nonstick vegetable spray before pouring in the molasses. This prevents the molasses from sticking to the cup. 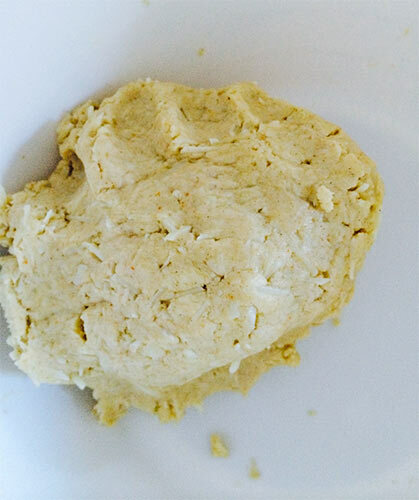 Chill the dough for a few minutes or dust your hands with flour if the dough is too sticky to form into balls. Preheat oven to 350°F. 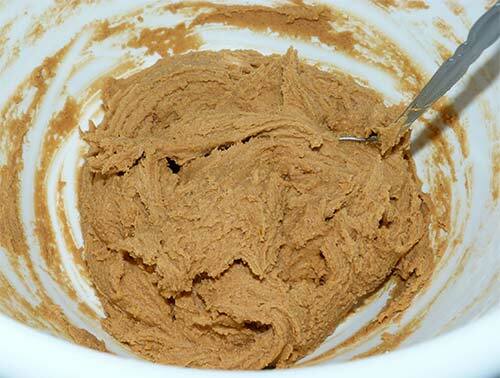 In a medium bowl whisk together Nu Life Market Gluten Free All-Purpose Flour, ginger, cinnamon, clove, salt, and baking soda; set aside. 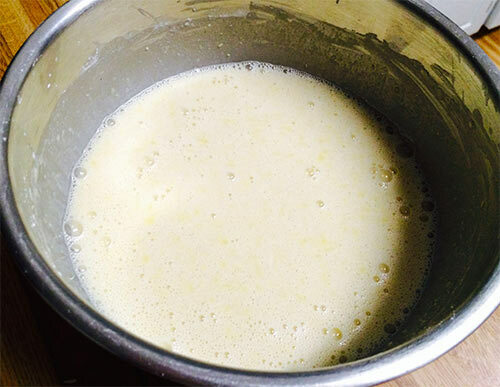 With a mixer, in a separate large bowl beat 1 cup of white sugar and butter until light and fluffy. Add the egg and beat well. Mix in water and molasses. Butter, sugar, egg and molasses mixed together. Slowly add the flour mixture, mixing until well combined. The cookie dough was a bit sticky, so I dusted my hands with a little flour before rolling into balls. 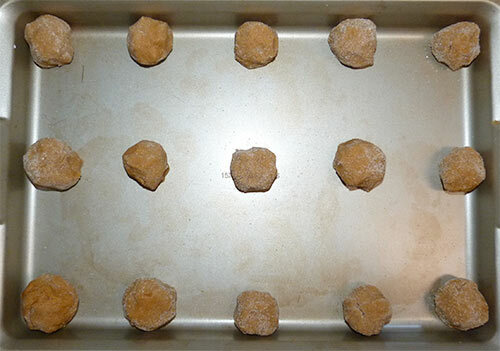 Form dough into one-inch round balls and roll in the remaining 1/4 cup of white sugar. 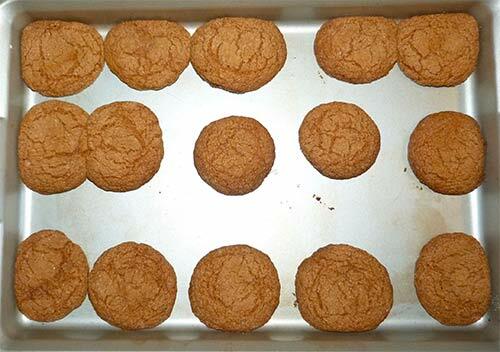 Place cookies on an ungreased baking sheet two inches apart. Ginger cookie dough rolled into balls, ready to bake. Bake for 8-12 minutes. 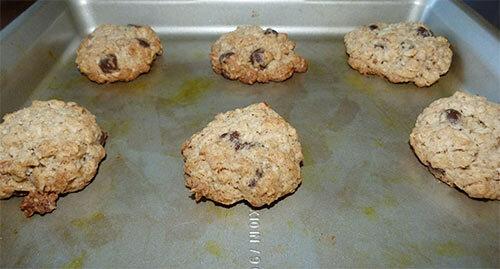 Remove from oven and allow to rest on cookie sheet for 2 minutes, once rested remove to a wire rack and allow to cool. 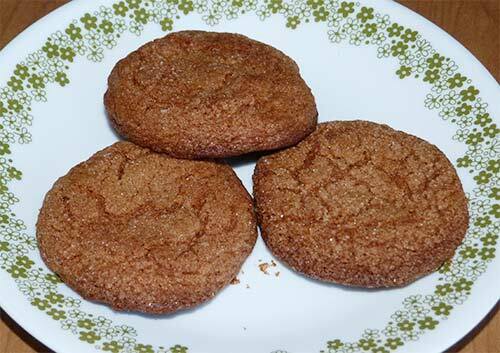 The cookies were soft right out of the oven and got crispier on the outside as they cooled. This recipe makes about 36 medium-sized cookies. I’m really glad dogs don’t have to HUNT for our own FOOD any more. I’ll have another DOG COOKIE, please! 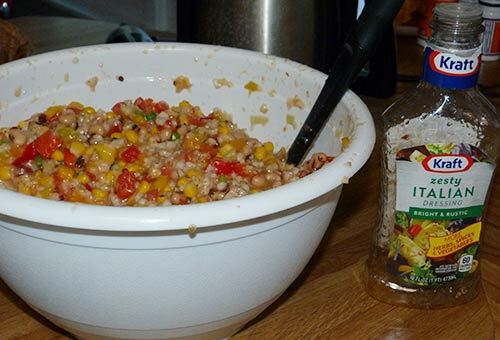 Here is another recipe from the Nebraska Grain Sorghum Board. I decided to use black-eyed peas instead of black beans to bring good luck for the new year. 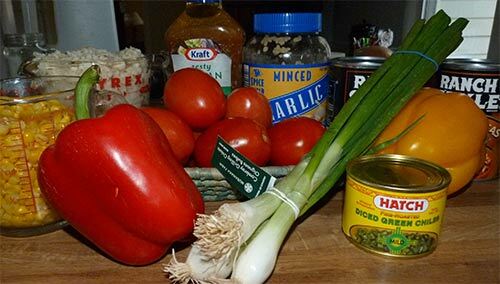 I also used canned green chilis, but I think it would be better with fresh jalepeños, if you can find them. In the Southern United States, eating black-eyed peas on New Year’s Day is thought to bring prosperity in the new year. Some people say this tradition was started during the Civil War when the Union troops wouldn’t eat black-eyed peas because they were considered food for livestock. Others say eating black-eyed peas for good luck is an ancient Jewish tradition dating back to 500 CE or earlier. No matter how you celebrate, this dish is great for holiday gatherings. I’m thinking about bringing this healthy, gluten-free snack to a Super Bowl party! This recipe makes enough for a pretty large crowd. You can eat it by itself or with tortilla chips. Cook the whole grain sorghum and cool. 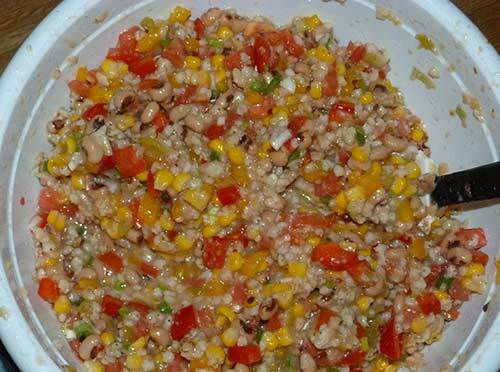 You can find the instructions for cooking the sorghum here. Cook the whole grain sorghum first and let it cool. Mix everything together and chill in the refrigerator. The whole grain sorghum will absorb the flavors. Cover and refrigerate two hours or overnight to marinate. Serve with tortilla chips. This recipe makes a big bowl of sorghum caviar. 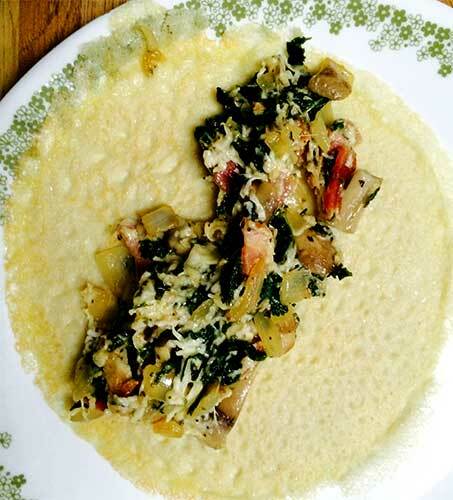 Recipe developed by Barbara Kliment, Nebraska Grain Sorghum Board. Happiness is watching the Super Bowl in Maizy’s lap! This recipe is from Carol Fenster’s cookbook “100 Best Gluten-Free Recipes” that I received for Christmas (thanks, little brother!). 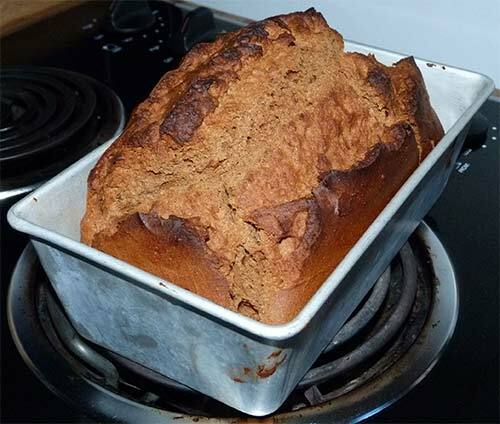 I made this bread hoping it would be a quick alternative to yeast bread that would go well with soups or for snacking. I was very disappointed when I sliced off my first, warm slice and it broke in half! 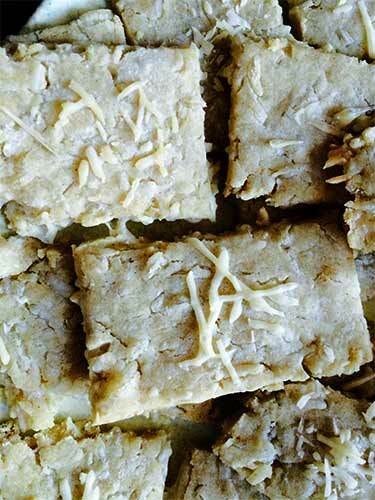 When I tasted it, the flavor was good – a hearty taste, mildly sweet – but it was very crumbly and dry. I usually have very good luck with Carol’s recipes, (I didn’t even make any changes to this recipe!) so I can only assume that I mis-measured the ingredients in some way. I found this video on Carol’s website that has instructions on the proper way to measure flours. I thought it might be helpful to review, since measuring correctly is very important in helping gluten-free baked items turn out well. I placed the loaf of bread in a plastic bag and stored it in the refrigerator over night. It has moistened up a little bit, so I think it will be edible and not a total loss. If you try this recipe, please let me know how it turns out. Happy measuring! Place a rack in the middle of the oven. Preheat the oven to 325 degrees F. Grease a 9 x 5-inch loaf pan; set aside. 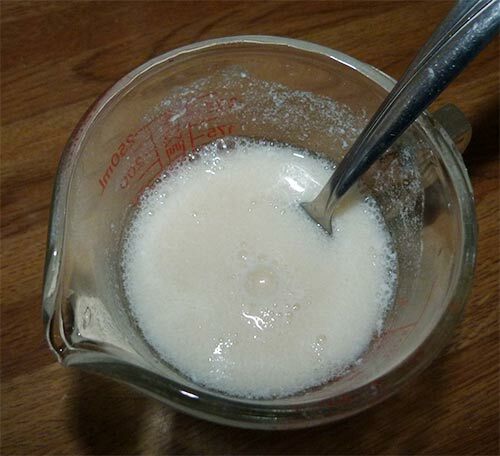 In a small measuring cup, mix the milk and vinegar together and let stand for 5 minutes. Almond milk and apple cider vinegar mixed together. 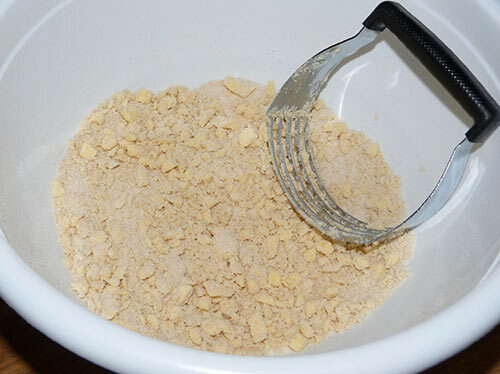 In a large bowl, whisk together the sorghum blend, cornmeal, potato starch, xanthan gum, salt and baking soda. Beat in the milk-vinegar mixture, eggs, molasses and oil with an electric mixer (I used a hand mixer) until the batter is smooth. 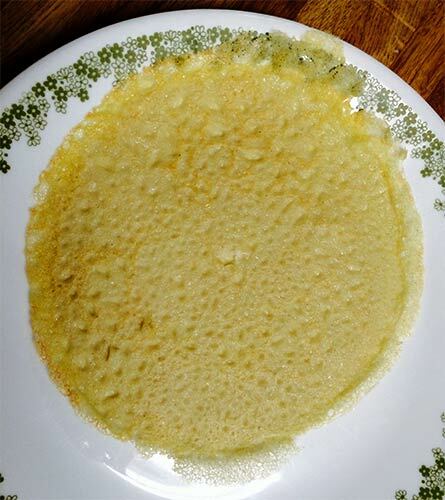 The batter was thick and sticky. 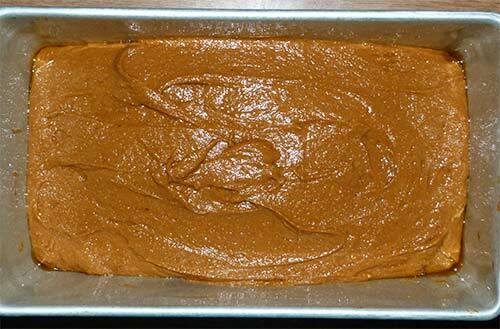 Batter in loaf pan, ready to bake. Bake for 45 to 60 minutes, until a toothpick inserted into the center of the loaf comes out clean. The loaf rose nicely and was very pretty when it came out of the oven. Cool the bread in the pan for 10 minutes. Remove the bread from the pan and cool for 15 more minutes. Slice and serve. Santa brought me a chew rope, a ball and some SNACKS! If I can find him, I’m going to LICK his face! THANKS SANTA! Here is another recipe you can prepare for a holiday party. These crackers are really easy to make. 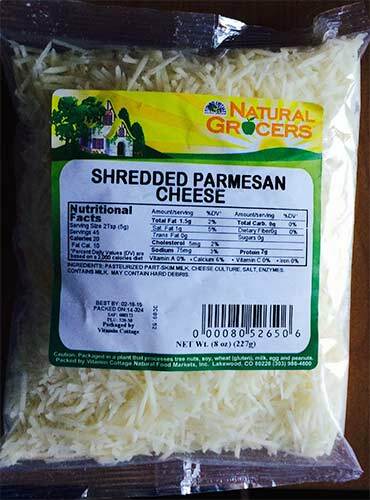 I used Parmesan cheese, but these would be good with just about any cheese. If you don’t like garlic and cayenne, you could try other spices like rosemary, onion powder or black pepper. I want to try them again using Pepperjack or sharp cheddar cheese. 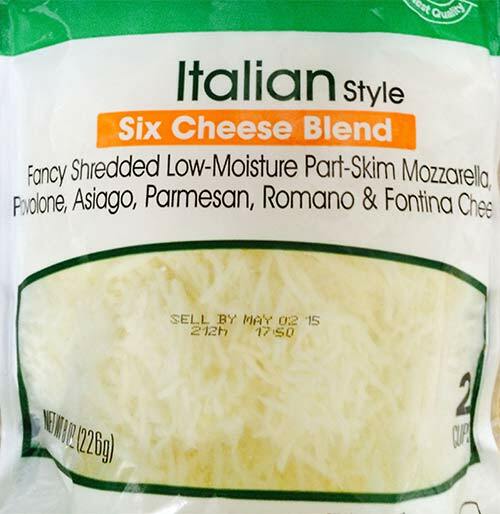 I used Parmesan cheese, but you could use any cheese you like. I would recommend rolling them out as thin as you can, to make them crispier. I was afraid they would fall apart when I transferred them to the baking sheet, so I rolled them out to about 1/8-inch thick but I wish I had gotten them thiner. After baking, they were crisp on the outside and soft on the inside. Still good, but not quite a crunchy cracker. After the crackers cooled, I put them in a bowl with a lid on top. (Milo kept sniffing around and I wanted to remove the temptation!) The next day they had lost their crispiness, so I put them on a tray in the toaster oven for about 10 minutes and they came out crunchy and very good. 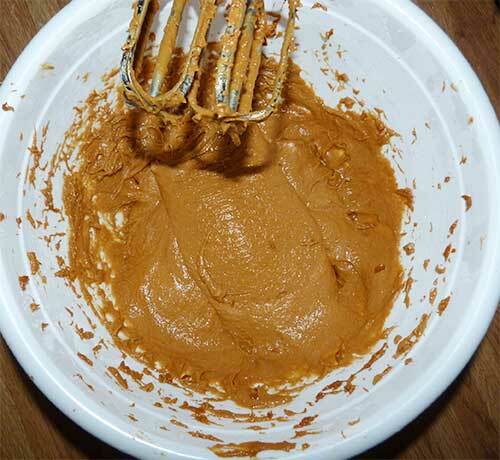 Whisk together dry ingredients. Stir in cheese. 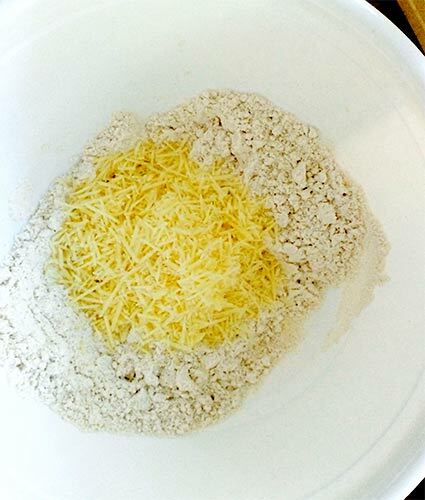 Mix dry ingredients together, then add the cheese. 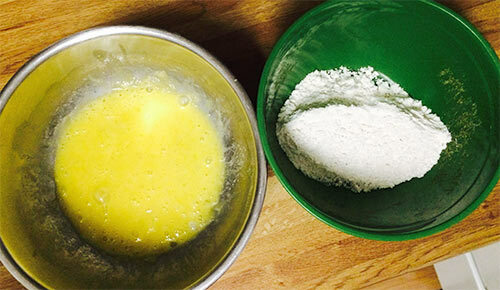 Mix with oil and water to form a ball of dough. Cover and place in the refrigerator to cool for about 15 minutes. The cracker dough was soft and slightly sticky. Roll out in sections on floured wax paper and cut into slices or wedges. 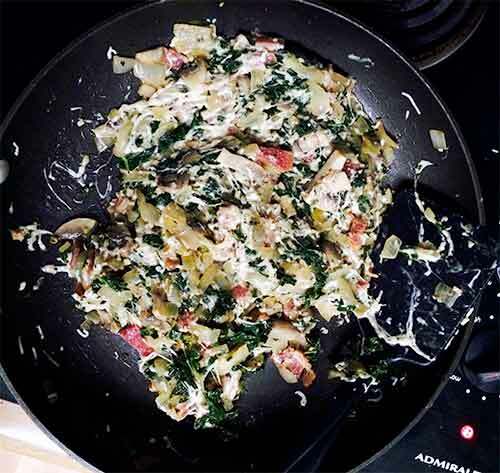 Sprinkle with additional grated cheese, if desired. 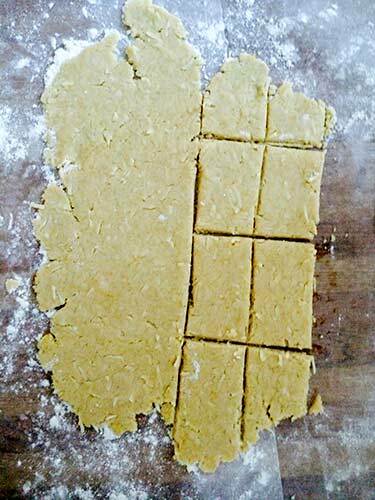 I sprinkled some flour mix on a sheet of wax paper, rolled out the dough to about 1/8-inch thick and cut it into rectangles. Crackers cut out and ready to bake. Bake at 350 degrees for 10-15 minutes until crackers reach desired crispiness. Top with your favorite topping or eat them just as they are! 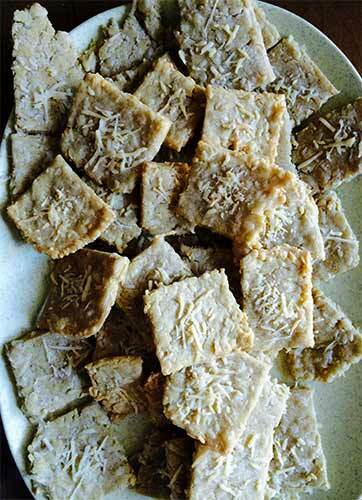 Baked cheese crackers ready for snacking! 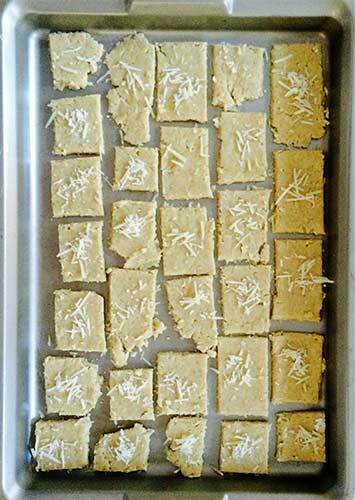 These crackers can be made ahead of time and frozen for later use. Warm them up in the oven for a few minutes if they lose their crispiness. Recipe adapted from Balance & Elegance. Thanks Kaci-Ann! 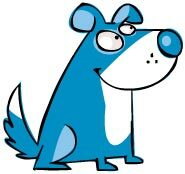 Wake up wagging and the world wags with you! Merry Christmas from Maizy and Milo!